Looking to move, but want to make sure you’re not left high and dry for a job? These are some of the best places to live as a tech worker looking for great employment opportunities with the potential for growth. 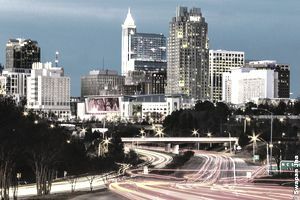 Forbes named Raleigh the “2nd best city for tech job creation” in April 2015. Also known as “Silicon Valley,” it doesn’t come as much of a surprise that the tech sector is hot here. Austin is home to many bigger, more established companies, but it also has a thriving startup scene, so you have options for where you’ll best fit in. Here, you’ll be working alongside a fair share of BYU grads. There are plenty of startups and independent entities, but Google has a branch there as well. Combines small-town charm with great tech employment opportunities. Top tech companies that operate there: Intel, Hewlett-Packard, Advanced Micro Devices, Inc.
Home to three Fortune 500 companies and some specifically tech-oriented businesses. Ranks well for affordability and quality of life; home to startups and industry giants alike. Big city for healthcare and biotechnology (and country music, but you knew that). With Boston and Portland reasonably close and numerous tech giants within the city itself, Manchester is a great choice for those who want lots of options. These days especially, there are tech jobs pretty much everywhere...but there’s also competition everywhere. Although you’ll still have to work for it, any of these cities will offer you a great opportunity to establish yourself in the career of your dreams.